Vision: The Clinical Health Coaching Research and Training Center (CHCRTC) serves as the administrative core for clinical health coaching research, services, and training. The CHCRTC provides health coaching services for individuals throughout their life. Our clinical health coaches provide a continuum of services including: disease prevention, illness management, and optimal performance. As a research and training center we are able to connect community members to research studies, and prepares student learners to become healthcare leaders. Our programs and services advance 21st century health care via the integration of high quality, evidence based health coaching practice into clinical, organizational and community settings. Clinical health coaching can be used as stand-alone health behavior change intervention, and there is also a growing demand for health organizations to use dedicated clinical health coaches as part of their chronic disease management programs. In summary – clinical health coaches motivate patients toward readiness to change, assist them to make real-world, long-lasting behavioral changes, inclusive of their actions, thoughts, and emotions, and empower patients to achieve better health outcomes. As part of the Department of Behavioral Health and Nutrition (BHAN), College of Health Sciences, the CHCRTC is a three-pronged program that integrates coaching training, research, and practice. Housed on STAR campus, the CHCRTC is a state of the art coaching facility including: counseling rooms with built-in observation technology, biometric assessment capacity, on-line, telemedicine format capabilities, patient simulation, healthcare theatre and group coaching space. As part of the STAR Clinic network, our facility has ancillary billing, electronic medical record, and scheduling support. CHCRTC staff include academic, clinic, and research directors, 6 research-engaged faculty 1.6 FTE certified health coaches, 4 affiliate coaches and 2 graduate students. The CHCRTC incorporates BHAN’s nationally recognized Graduate Clinical Health Coaching Certificate program, and has access to all University of Delaware support services and resources. Center Director: Michael Peterson, EdD. Dr. Peterson is the founding director and creator of the Clinical Health Coaching program, and the CHCRTC. He is also Chairman of the Department of Behavioral Health and Nutrition. Dr. Peterson’s academic background is in behavioral medicine and health promotion. Dr. Peterson’s work in the area of clinical health coaching focuses on the integration of health coaching into a clinical setting, and the establishment of clinical health coaches as a reimbursable part of 21st century health care. Research Director: Richard Suminski, PhD. 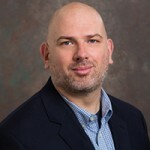 Dr. Suminski is an Associate Professor of Health Behavior Sciences at the University of Delaware and currently the Principal Investigator on two NIH funded studies examining the measurement and promotion of physical activity and an Institute of Coaching funded project looking at the impact of health coaching on bariatric patients’ outcomes. He has over a 100 peer reviewed journal articles, book chapters and scientific presentations mainly in the areas of physical activity/exercise behavior and chronic disease prevention. Academic Director: Michael Mackenzie, PhD. 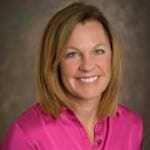 Dr. Mackenzie is an Assistant Professor of Health Behavior Science at University of Delaware. 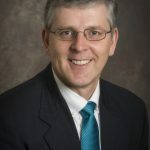 Dr. Mackenzie has worked in research, clinical, and leadership roles in the fields of oncology, mental health, rehabilitation and education since 2000.Dr. Mackenzie is Program Director for UD’s International Consortium for Health & Wellness Coaching (ICHWC)-approved Graduate Certificate in Clinical Health Coaching. Dr. Mackenzie’s work in the area of clinical health coaching focuses on health coaching in cancer survivorship. Tara is a nationally recognized clinical health coach, a consultant to the ICHWC, and inaugural director of the Health Coaching Clinic located on the STAR campus. Tara oversees all clinical health coaching activities. We provide a variety of health coaching options for individuals who are in need or desire health coaching services. We also partner and take referrals from other health clinics and medical professionals to help better serve patients and achieve higher quality health outcomes. A program aimed at helping women improve their health through nutrition, exercise and wellbeing group coaching sessions. These sessions increase overall understanding of personal nutrition and exercise and support healthy lifestyle change through targeted goal setting. Certified Health Coaches, a Registered Dietitian Nutritionist and Exercise Physiologist present education in a group format with ongoing coaching support throughout the 10 week program. To learn more about how you can connect with a health coach, schedule a coaching session, or see our various service options please visit our NMHC Health Coaching Center. Purpose of this study is to determine the impact of a health coaching intervention on employee health and health care utilization rates. This study focuses on an integrated, team-based health coaching model’s impact on health outcomes. ANEW is a program aimed at helping women improve their health through nutrition, exercise and wellbeing group coaching sessions. Sessions focus on increasing overall understanding of personal nutrition and exercise and supporting healthy lifestyle change through targeted goal setting. Certified Health Coaches, a Registered Dietitian Nutritionist and Exercise Physiologist present education in a group format with ongoing coaching support throughout the 10 week program. The purpose of this study is to assess health coaching impact on bariatric patient weight targets and surgical choices. Health Coaches meet with patients who are preparing for bariatric surgery as referred by their Primary Care Physician following the Bariatric Center protocol for surgery. Sessions will be conducted during the pre-op period and during the 3-months following scheduled surgery dates. The purpose of this study is to determine the effectiveness of health coaching for improving health, fitness, and overall wellbeing of cancer survivors. Clinical Health Coaches conduct 5 coaching sessions over a three month period to set goals associated with improving overall health. The coaching sessions are client-centered and focus on areas of wellbeing decided upon by the participant. The purpose of this study is to determine the comparative effectiveness of a health coaching intervention and the current VA MOVE program. Clinical Health Coaches work with at risk veterans over a 3 month period to improve body composition and reduce chronic disease risk factors. The purpose of this study is to provide a proof of concept for a value based payment system for third party reimbursement for clinical health coach integration into a health care setting, through the achievement of improved patient health outcomes and health cost savings, improved patient satisfaction with care, and demonstrated enhanced patient responsibility for their health. The purpose of this study is to determine the feasibility of integrating health coaching services into physical therapy practice to enhance patient outcomes and reduce therapy complications. In response to health care challenges, and in light of the need to create a rigorous program that meets the needs of health care professionals, in 2011 the University of Delaware formed a collaborative team representing physicians, nurses, psychologists, behaviorists, nutritionists, and pharmacists from major medical institutions and programs to create a post-baccalaureate certificate program in health coaching. Working together the team identified competencies required of these nouveau professionals to best address the needs of the health care population, and how to best fit within the clinical setting.In response to health care challenges, and in light of the need to create a rigorous program that meets the needs of health care professionals, in 2011 the University of Delaware formed a collaborative team representing physicians, nurses, psychologists, behaviorists, nutritionists, and pharmacists from major medical institutions and programs to create a post-baccalaureate certificate program in health coaching. Working together the team identified competencies required of these nouveau professionals to best address the needs of the health care population, and how to best fit within the clinical setting. Work as part of an interdisciplinary team of health professionals within chronic disease prevention, early intervention, rehabilitation, and other chronic condition self-management programs. It was also deemed important that every student in the program have a supervised practicum experience in a clinical setting to develop their didactic skills. The program is unique in its use of a Health Care Theater based final exam requiring students to demonstrate their competencies with a patient actor under the observation of program faculty.